Last Friday, Maine Governor Paul LePage released his biennial $6.8 billion budget. Under his new budget, LePage introduces several changes to the tax code, including changes to individual income taxes, corporate taxes, the sales tax, and the elimination of the estate tax. One major reform proposal in the state’s tax code would be the adoption of a flat income tax rate of 5.75 percent by 2020. Last year, Maine voters approved Question 2, which imposed a 3 percent surtax on the top income tax bracket. In the budget, LePage has proposed delaying the enactment of Question 2 for one year. In the years following, the income tax would be simplified and reduced until 2020, when Maine would adopt a 5.75 percent flat tax. On the corporate income tax, Governor LePage also proposes lowering the top rate from its current 8.93 percent to a new rate of 8.33 percent. Though still a high rate relative to the national average, this reduction would make Maine more regionally competitive with its neighbors. Additionally, LePage proposes that Maine eliminate its estate tax. 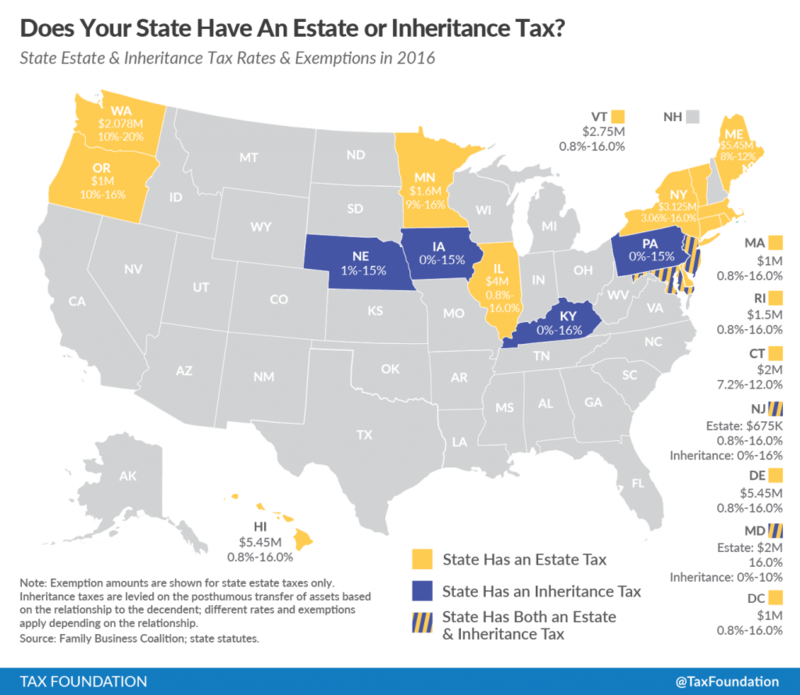 Only fourteen states and D.C. impose an estate tax, and as a trend, states are moving away from a reliance on them. 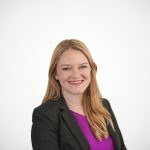 Estate taxes are harmful to economic growth and have large compliance costs, and are especially harmful for small- to medium-sized family businesses that do not have the resources to spend on estate tax planning. In order to pay for these rate cuts, Maine’s sales tax base would be expanded to some services. The state’s 5.5 percent sales tax rate would apply to amusement and recreation services, household services, installation, repair and maintenance services, personal services, and personal property services. As we have noted here and here, broadening the sales tax base is the correct call for modernizing a state’s sales tax code. Finally, the Governor’s budget also includes provisions to expand Maine’s Child Care Credit, expand Maine’s pension exemption to $35,000, and increase the lodging tax from 9 percent to 10 percent. Following the release, the Governor has asked Republican lawmakers to unite to pass his budget “for once in their lives.” While these proposals are far-reaching, policymakers should seriously consider the core tenants of Governor LePage’s proposals. They represent an effort to broaden tax bases and lower rates overall—a recipe for a more competitive state.